Virgin Voyages and Italian shipbuilding company Fincantieri have finalized contracts, valued at approximately 2 billion euros, for three new cruise ships to be delivered in 2020, 2021 and 2022 respectively. Virgin Voyages, Richard Branson‘s new cruise line, is based in South Florida and promises to give its guests an outstanding cruise experience matched with the famed Virgin service. Embarking from PortMiami, Virgin Voyages plans to offer a range of seven-day Caribbean itineraries, with a Sunday sail date. For more on Virgin Voyages visit A Virgin “Cruise” Line. 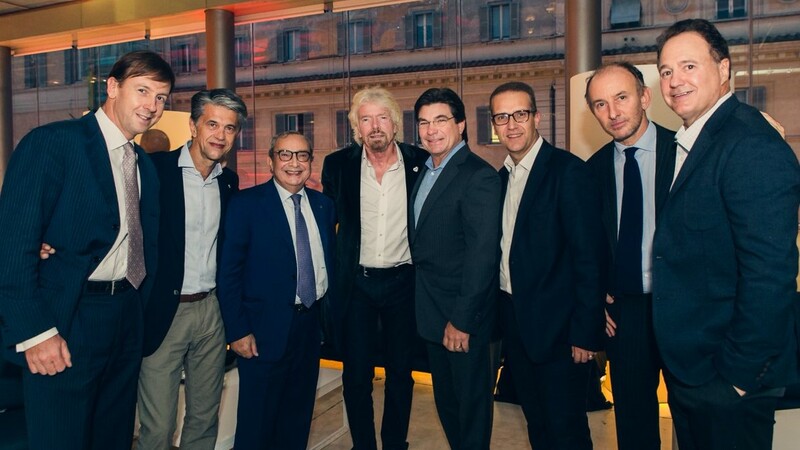 Earlier today in Trieste, Italy, Virgin Voyages, part of Richard Branson’s Virgin Group, and Fincantieri, one of the world’s largest shipbuilding companies, announced they have finalized the contracts to build three new cruise ships. The three mid-size cruise ships will weigh about 110,000 gross tons each and be 278 meters long and 38 wide. Each ship will feature over 1,400 guest cabins that can host more than 2,800 passebgers. There will be 1,100 crew members on board to look after the guests and deliver the Virgin service. In a press statement Fincantieri confirms the ships will stand out for original design and craftsmanship. They will include some highly innovative ideas and design solutions, notably for energy recovery, reducing the overall environmental impact. For example, they will be equipped with an energy production system of approximately 1 MW, which uses the diesel engine’s waste heat. The result of this is a project which distinguishes Virgin Voyages in the worldwide cruise scenery. The three units will be built at the shipyard in Sestri Ponente (Genoa) with delivery scheduled for 2020, 2021 and 2022.